Studies discovered, not only genes regulate life cycle. The DNA functioning is affected by environmental stimulus, nutrition, stress, geopathic stress, and modified by emotions. Some DNA codes are activated, and some remain dormant, depending on external stimuli. It is proven that certain genes only get activated by external stimulus (such as in developing embryo). The ’living-beings’ controlling information flow starts with the environmental signaling. The information flow in a living organism was imagined to be one directional, DNA-RNA-Protein direction. This misbelief was proven through the epigenetic discovery. The new vision opened all the research doors towards the importance of environmental impacts. From the same genes that are affected by environmental impacts, thousands of different proteins can be created. Scientifically proven that breast cancer is not hereditary (95%), similarly, in BRCA1, BRCA2 breast cancer 95% of the genes are exposed to some external impact, and do not manifest in disease due to hereditary causes. 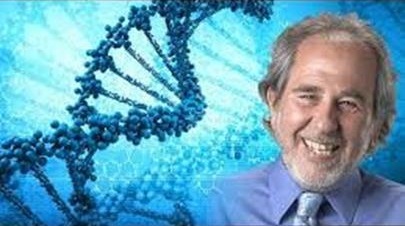 Evidence suggests that DNA codes do not control our organisms, but the information received from the environment control existing DNA, hence the organism as well. Similar to the behavior of people, that is influenced by information received from environmental impacts and their surroundings. Closed factors coming from the environment, almost in all seven levels of consciousness (physical, energy, emotional, mental, relationship, spiritual, moral) negatively impact and deviate the organism from routine or balanced functioning. What went wrong with us? We may ask ourselves. In our mind, in our programing there is a tragic re-writing that originates from the misguide of our instincts and thoughts. However, the mind’s deceiving extends to the whole organism. The mind’s automatic reflexes can be overwritten by consciousness. We call free-willed personas consious thinkers. This is why the clear conscience and mind became essential part of the research.